You can get fuller and more defined brows very soon, all thanks to ColourPop Cosmetics adding two new products to their existing eyebrow collection (the affordable makeup retailer has previously released a line of waterproof eyebrow gel and pencils.) The Brow Boss pencil and the Brow Boss gel will be available on their website starting on August 24. The Brow Boss Pencil comes with a spoolie brush on one end for easy blending and application and in four different matte shades (blonde, light brown, dark brown, and soft black.) The Brow Boss Gel is a clear, lightweight mousse formula that helps define your brows and keep them in place all day long. 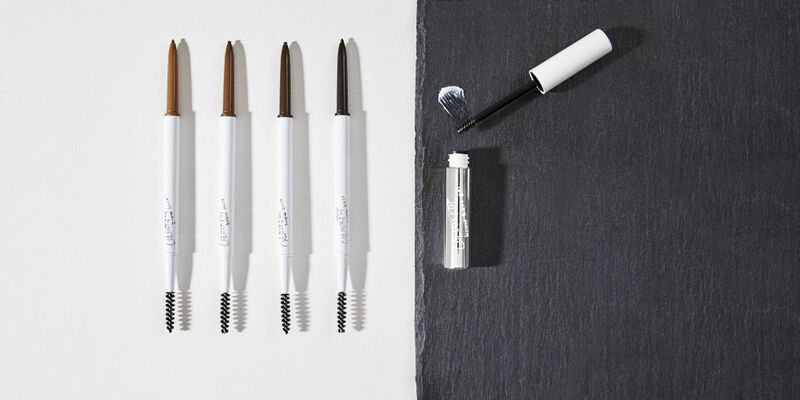 Our new Brow Boss pencils help create mistake proof natural looking brows. Brush softens the edges for a natural end look that will last all day! Left to right: Soft Black, Dark Brown, Light Brown, Blonde Brow Boss pencil $5 available Thursday, 10am PST! The exciting beauty news comes weeks after the announcement that ColourPop will be sold in Sephora stores starting in November so you can test out all of their products and new launches in person.